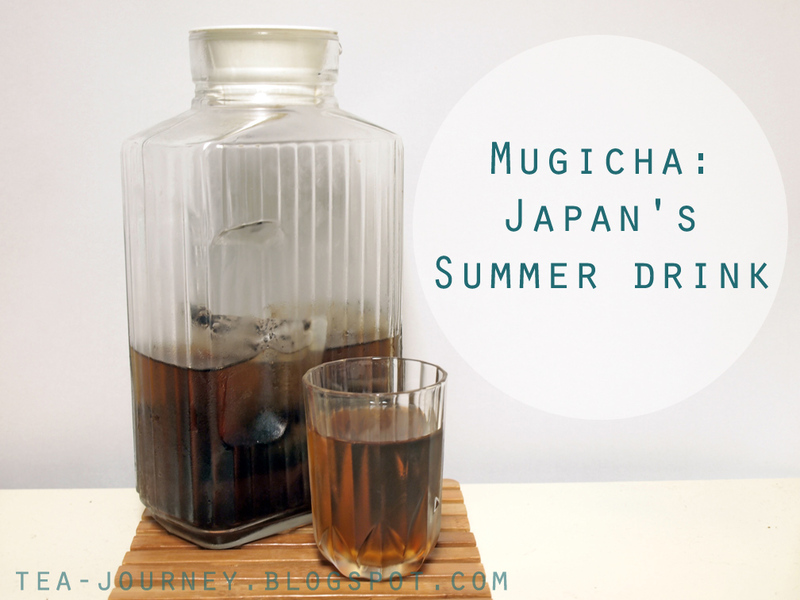 Summer is just not the same with this staple drink, Mugicha. It is roasted barley that has been steeped to create a concoction or tea. It has the roasted taste of Hojicha but is 100% caffeine free. Through university it kept me cool once the seasons got hot. It was once created from scratch at home but now you can purchase packets (of up to 56 ) in China town (Korea Town or your Asian Grocer ). it is even available online at Jlist and Amazon. After a little searching, I found a recipe if you want to try making it at home, for cheep healthy summer drink. Recipe can be originally found over at La Fuji Mama, a blog dedicated to exploring the tastes of the world with her family. 2. Bring the 8 cups of water to a boil in a pot, add the cooled toasted barley, and simmer over low heat for 20 minutes. Remove from the heat and let the barley continue to steep as the mugicha cools, for about 5 minutes. 3. Strain out the barley, pour the mugicha into a pitcher and chill.